have proven experience in even the most diverse operations within the market. Juan Ignacio Navas Marqués is the author of several publications and legal treaties, all of them commissioned by the prestigious publisher, Thomson Reuters Aranzadi, considering the experience of the law firm in the area of banking law, financial and in the application and monitoring of the law of the European Union. 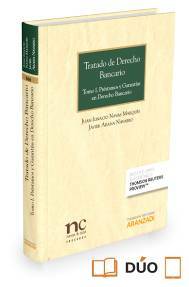 Volume I: Mortgage loans and guarantees in banking law. National and European Union Law. (Thomson Reuters Aranzadi Publisher, March 2017). The Banking Law Treaty is a work detailing the whole problem in Spain of the so-called “banking malpractice”, defining each of the toxic and complex products marketed by banks without observing the requirements of information and advice in the legal framework. Thus publishing is considered the most extensive work to date bout financial banking, mortgage, consumers and European Union law. (Navas Marques, Juan Ignacio; February 2017). 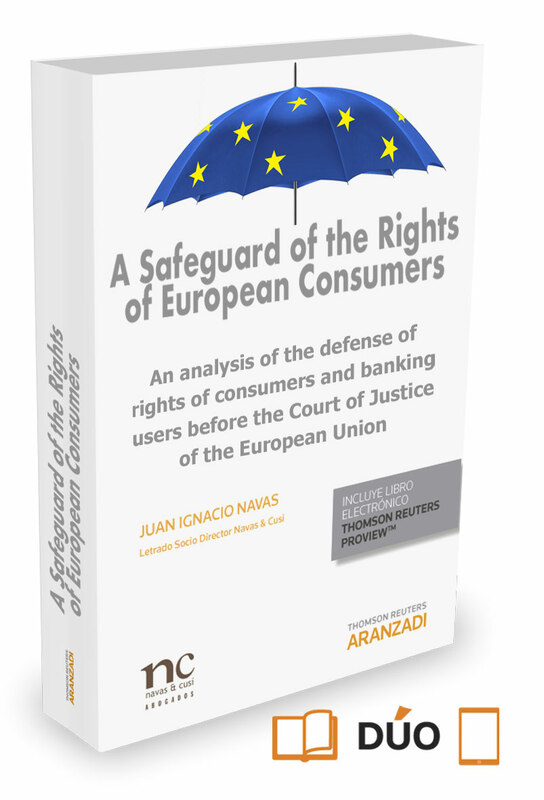 Through an exhaustive and very illustrative investigation in the field of European Union law and the binding precedents of the European Court, Juan Ignacio Navas analyzes the powers and rights of consumers before the European institutions when their rights have been violated or limited, for example, where a Member State has not correctly transposed a Community Directive. After the oral presentation in February of 2017, Juan Ignacio Navas has obtained honorary enrollment in his research work, and is now pending of publication. "How to get partial nullity of the loan”. Final Master's Degree in European Union. National University of Distance Education. Multi-currency option loans have been the most widely marketed loan model between retail consumers between 2006 and 2008, taking advantage of the interest rate and exchange rate entities of the currencies such as the Japanese yen or Swiss franc in relation to the Euro currency. The mortgage loan was sent as the "great economic alternative" to the traditional loan in Euros, omitting any duty information about the high risks and complexity of having a multi-currency loan. The consequence at the level of the socio-economic context has meant that the Spanish Supreme Court itself, through the judgment of June 30, 2015, affirmed that we are dealing with a "financial derivative", by bringing in an underlying asset and implicit an underlying asset such as the exchange rate in form of currency. 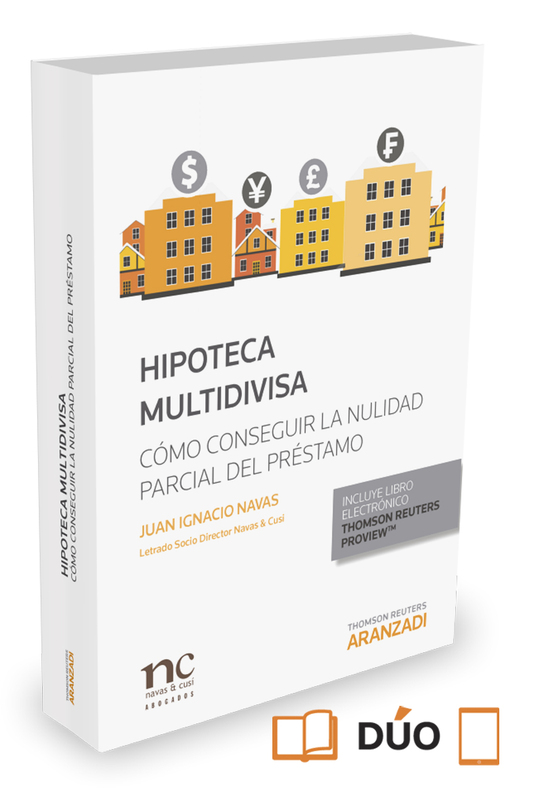 This theory was maintained by Juan Ignacio Navas Marqués, who already in March of 2015, before the issuance in June of this famous sentence by the Spanish Supreme Court, affirmed conclusively that we are not before a "traditional" mortgage loan but before a financial derivative, of which it is of Application of the requirements of the Securities Market Law, with all the consequences derived from it. (Publisher. Aranzadi Thomson Reuters, September 2012). 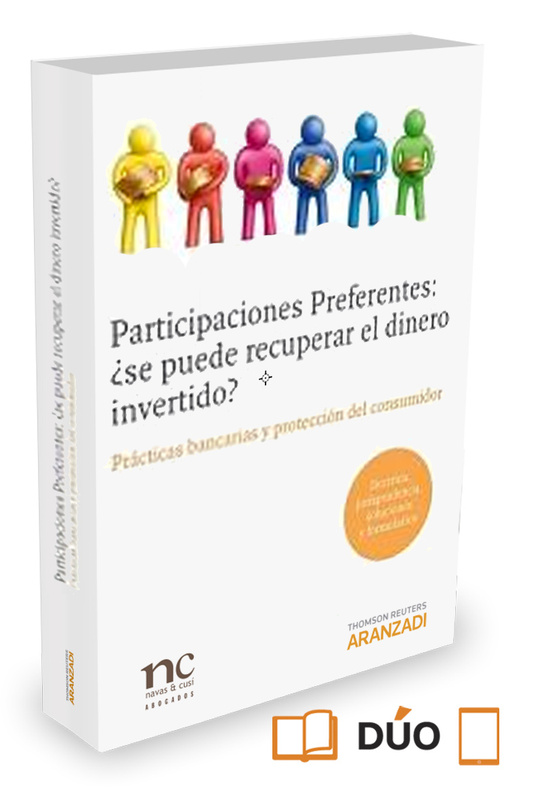 In this book, Juan Ignacio Navas, among other authors also headlines and collaborators in the same, an exhaustive analysis is made on the massive commercialization by the credit institutions of the so-called preferred shares: a product designed to refinance the banks at the coast of the savings of small consumer investors who did not, in most cases, have the right profile and aversion to risk, to contract it. The consequence of this, at judicial level, has been the declaration of nullity of the contracts, with the reciprocal restitution of the amounts invested. In this work, an analysis is made both of the nature of the preferred shares and the litigiousness it has brought with it over the last few years.